Roasted chicken soup with fresh carrots. 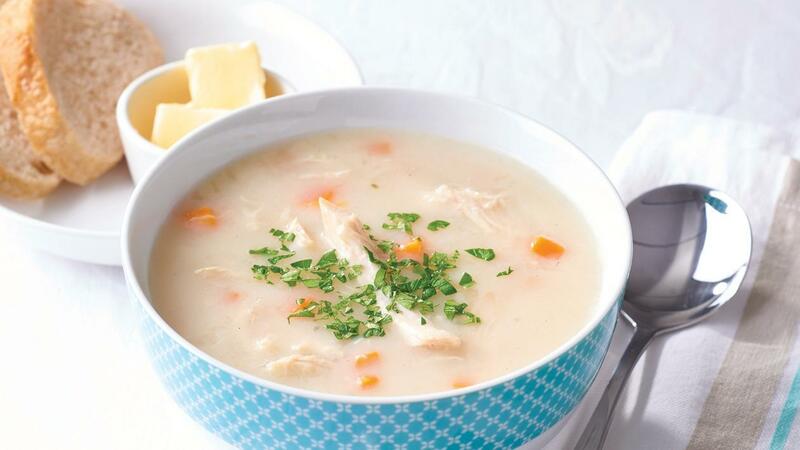 Combine the Continental Professional Cream of Chicken Soup Mix with water using a whisk. Add carrots and simmer for 10 minutes, stirring occasionally.Add the chicken in the last few minutes of cooking to warm through.